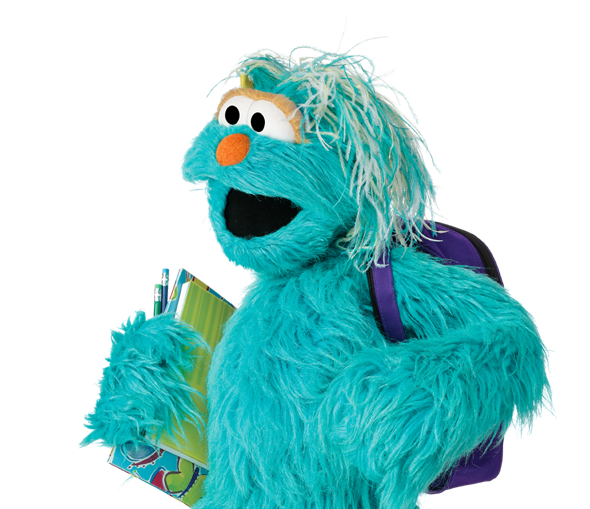 As you watch the video, encourage your child to say Abby's favorite words aloud when they appear on-screen. 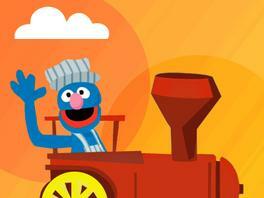 After the video is over, ask your child which of those words was his favorite. 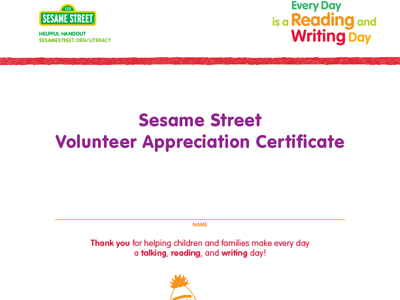 Discover fun ways to bring this Sesame Street program to children and families into your community! 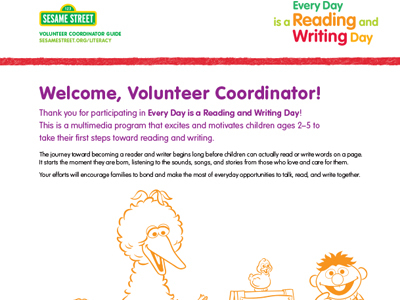 Find tools and information below to help you plan an Every Day is a Reading and Writing Day event, or to integrate rich literacy experiences for children into an existing volunteer project. 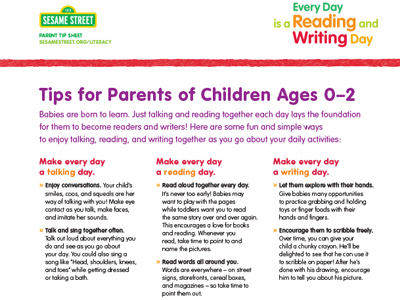 Your child's journey towards becoming a reader and writer starts with the words, stories, and songs she hears from you each day. 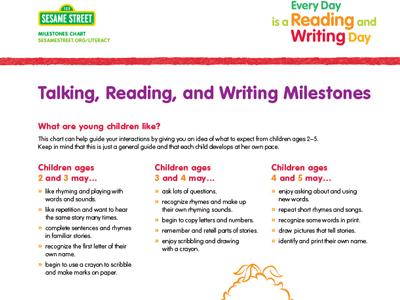 When you name the things you see around you, read a book aloud, or give your child a crayon to scribble with, you are helping to lay the foundation for her to become a reader and writer. 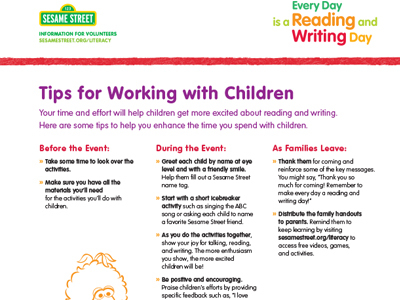 Below, find resources to help you turn your daily activities into rich opportunities for talking, reading, and writing together. 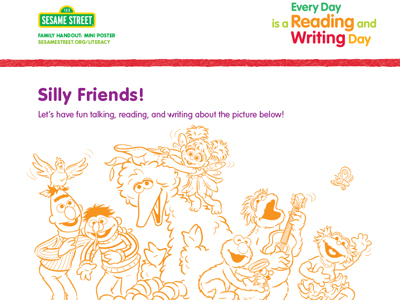 Every Day is a Reading and Writing Day is a multimedia program that offers a comprehensive set of resources to support children's early literacy development. 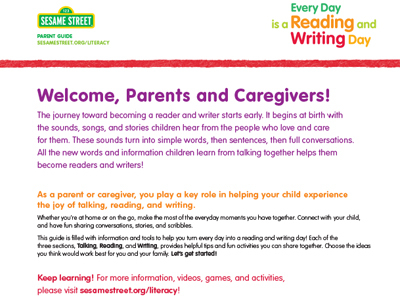 Each component of this initiative is developed to help young children and families make the most of everyday opportunities to talk, read, and write together.